Unwanted guests are never fun, especially when you can’t ask them to leave. Luckily, Denver pest control companies have no problem kicking them out. Whether there’s a rodent in your basement or insects in the attic, call your local Denver exterminator to take care of them — do not try to wrangle them out yourself! Not sure which type of home pest control service in Denver, NC can tackle your issue? Read profiles and ask about their past experiences to get a good idea. 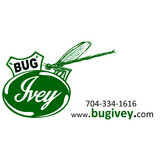 Ivey Exterminating has been serving Charlotte’s Pest, Termite,, Rodent, Control and Crawl Space systems since 1954. When considering a Charlotte Pest Control service to protect your home and family, Ivey Exterminating is the right choice. Our success is based on a honest days work for an honest days pay with reliable and quality service you can count on. Varmint Gone Lake Norman offers professional wildlife removal and wildlife damage repair services in the Lake Norman and Charlotte area on North Carolina. We offer our customers safe, fast, reliable and discrete wildlife removal services. Varmint Gone provides a 5-YEAR WARRANTY on all repairs and exclusion work. 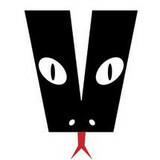 Varmint Gone Lake Norman is locally owned and operated. We are a licensed and insured NWCOA Certified Compliant Wildlife Control Operator. Varmint Gone has provided professional wildlife removal services and wildlife damage repair for homeowners and commercial facilities since 1983. Over the years, we developed permanent techniques to safely remove all property damaging species of animals which include squirrels, bats, birds, and snakes. We do not use kill traps or separate animal family members from each other unless absolutely necessary. Don't delay in removing nuisance animals from your home and protecting your family! Fast, professional and courteous services is our main priority. Varmint Gone Matthews offers wildlife removal services and wildlife damage repair including bat removal, squirrel removal, bird removal, snake removal, and other animals throughout the South Charlotte metropolitan areas including Myers Park, South Park, Ballantyne, Piper Glenn, Pineville, Matthews, and Indian Trail. We are a NWCOA Certified Compliant Wildlife Control Operator. Varmint Gone provides a 5-YEAR WARRANTY on all repairs and exclusion work. Varmint Gone Matthews is locally owned and operated. We are a licensed and insured wildlife control operator. 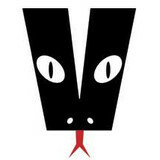 Varmint Gone has offered our customers safe, fast, reliable and discrete wildlife removal services and damage repair for homeowners and commercial facilities since 1983. Don't delay in removing nuisance wildlife from your home and protecting your family! We will do our best to contact you within an hour. Fast, professional and courteous services is our main priority. Pest problem? 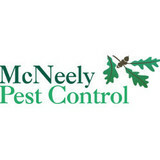 Whether it's an ant, cockroach or other pest infestation, it's time to call the local experts: McNeely Pest Control. At McNeely, we combine science with experience to deliver the most effective pest control and wildlife removal services available. In addition to experienced pest professionals, we also have an entomologist and biologist on staff to provide training to our staff and assistance to our customers. Do you have unwanted nuisance wildlife in your home or on your property? You can have our experts safely and humanely remove any animal or pests from your home and give you peace of mind. Your satisfaction is our goal. Whether you need to remove pests or prevent them from coming back, give the expert team at DellPest Exterminating a call today. We offer monthly, quarterly and yearly services as well as one-time calls. Reach out to Robin and our team today to get started. DellPest Exterminating has been proudly serving since 2001. Residential, Commercial & Industrial pest management services specifically designed to meet individual pest control needs. Applying the highest standards of business integrity and providing a positive, ethical attitude toward our customers. Locally owned & operated, serving the Hickory unifour area since 1981. ABOUT A-1 TERMITE & PEST CONTROL CURRENTLY SERVING 9 COUNTIES IN WESTERN NORTH CAROLINA A-1 Termite & Pest Control is proud to provide premier termite and pest management programs to residences and businesses in Western North Carolina. If you are looking for effective extermination treatments and lasting results, you will find no better company for the job than A-1 Termite & Pest Control. Crane Exterminator specializes in affordable and expedited pest control without compromising the quality. No matter what pest control needs you may have, Crane Exterminator is the right business for you! Dedicated to excellence and service, Crane Exterminator will work side by side with you to get rid of unwanted pests in your home. Absolute Pest Management offers several plans of which can meet your needs and rid your home of unwanted pests. We offer a one time, monthly and quarterly service to rid your home of a variety of pests such as ants, roaches, mice, crickets, spiders, as well as other pests that don't belong in your home. These pests not only pose serious health risks to family members including pets, but can also cause serious and costly damage to the structure of your home. Our residential services are the ideal solution for homeowners in the following areas: Kannapolis, Concord, Harrisburg, Salisbury, Mooresville, Davidson, Cornelius, Rockwell, Cabarrus County, Rowan County, North Mecklenburg County. We take pride in offering our pest management services that deliver effective results and homes free of pest activity. Envirosafe is a professional, environmentally friendly termite and pest control company serving the greater Gastonia area for over 20 years. We provide environmental pest control that is safe for your family, your home, and your pets. We are Gastonia's stand alone provider of organic pest control services. Our pest control treatments are effective on all types of pests including: bed bugs, mice, spiders, ants, yellow jackets, coachroaches, mosquitoes and more.